In a rare move, Rev. 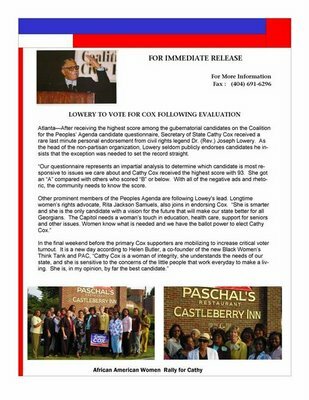 Joseph Lowery, civil rights icon, has endorsed Cathy Cox for Governor. Below is a copy of his endorsement.